I was walking down Water Street near vendors Arcade in Georgetown in 1992. I had just returned from India, with a Masters in Islamic Theology but working in Advertising. 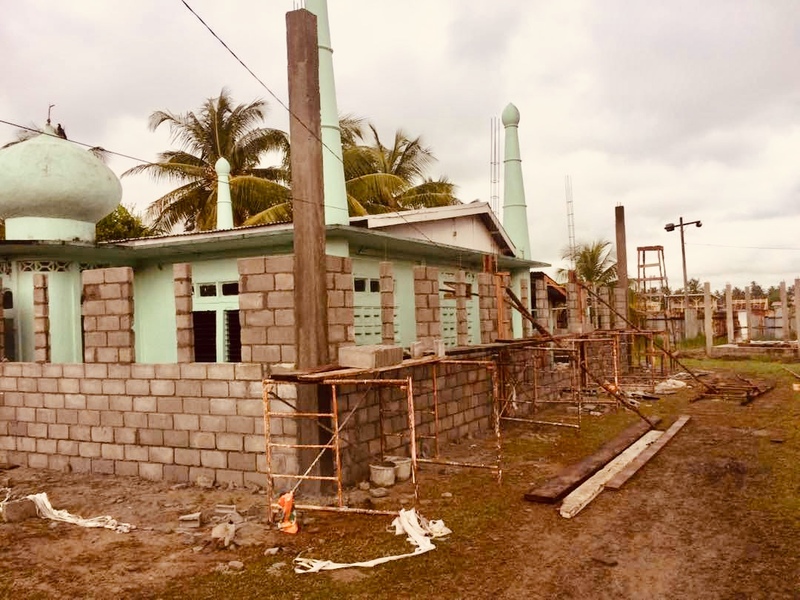 A young man in his kufi shouted out Salam Alaikum greetings only to share with me the astonishing fact that where he lives in Golden Grove, East Coast Demerara is a mosque that was defunct and a pig sty and party house! 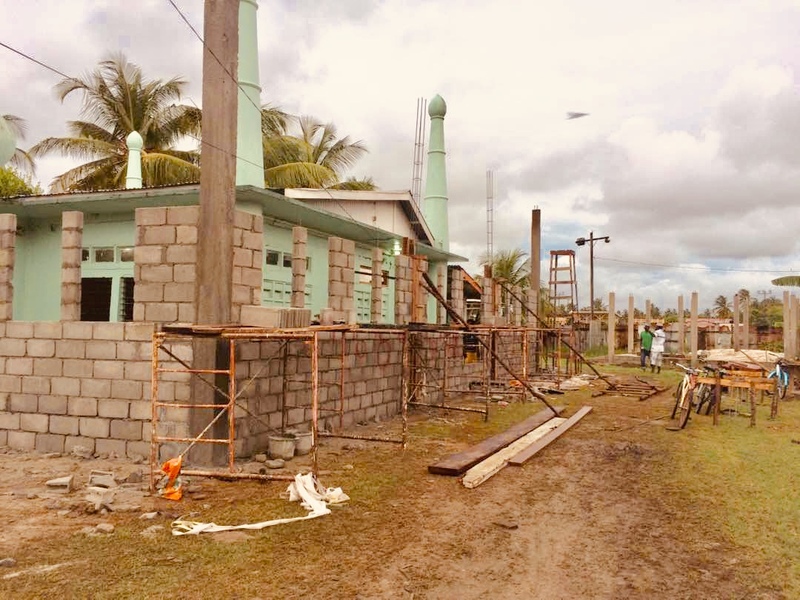 That began my odyssey with the rebuilding of the Godden Grove mosque in Guyana. 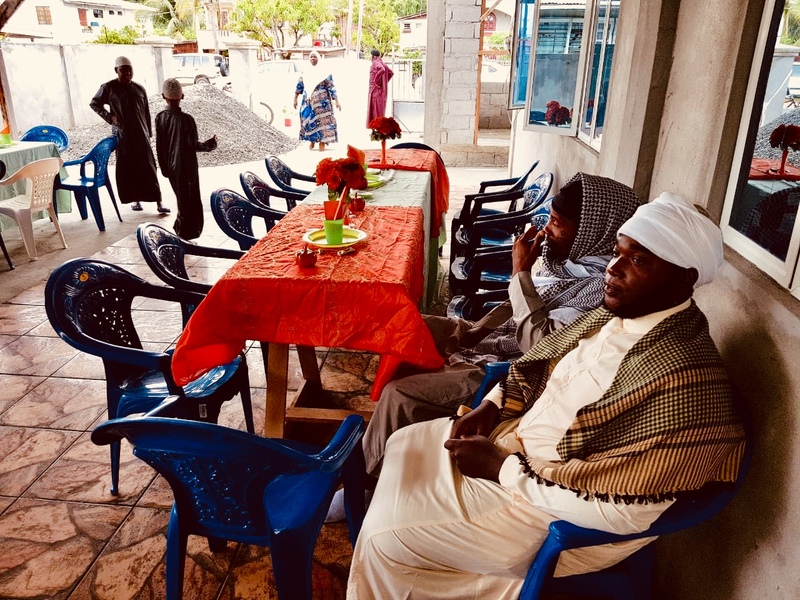 This was Abdur-Raheem Douglas, still a practicing Muslim and current leader of the Muslim community of the predominantly Afro Guyanese village of Golden. 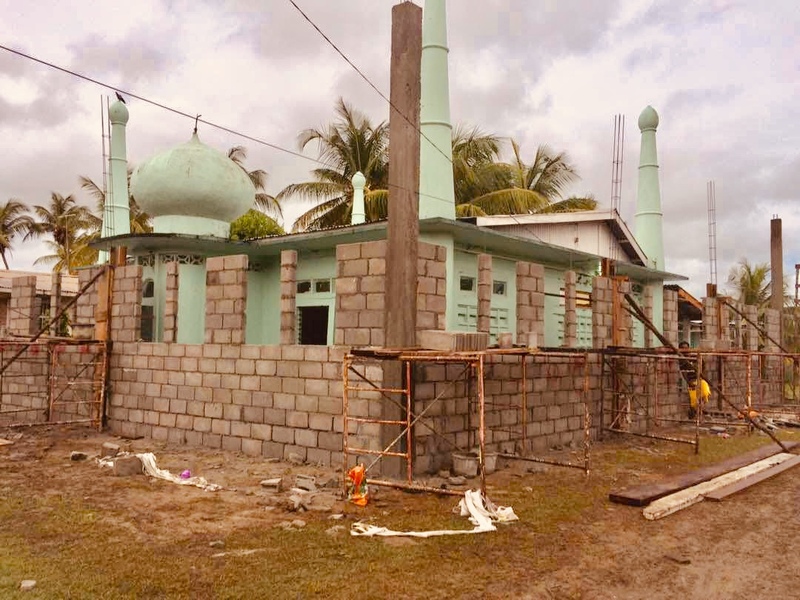 Presently rebuilt by the concerted efforts of many generous Muslims locally and abroad. 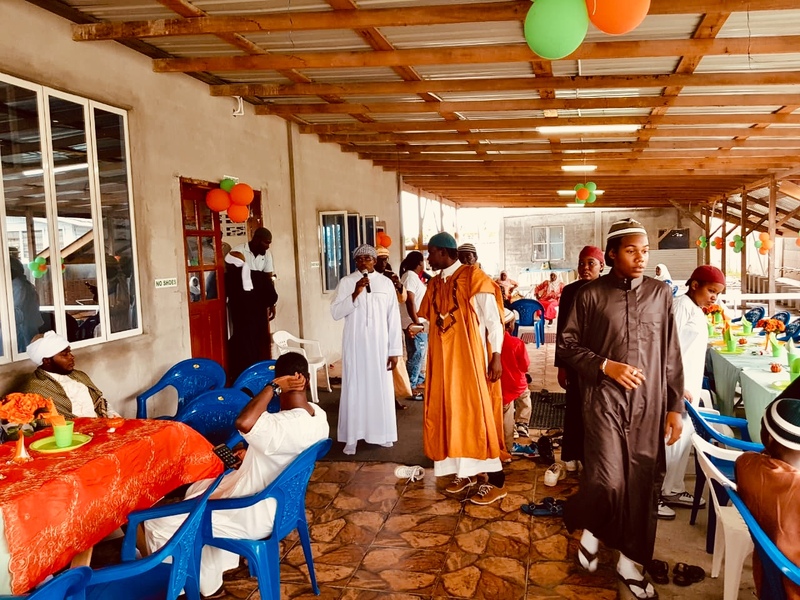 That started last year 2017 and miraculously, given the lesser known fact of its existence, has completed and now the opening is on Sunday, Dec 2nd, 2018. 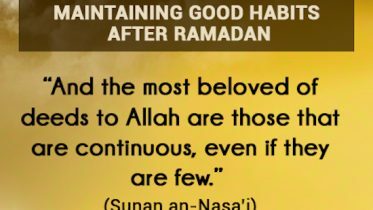 Thanks to Imam Zahir Hussain of London for his extreme kindness. 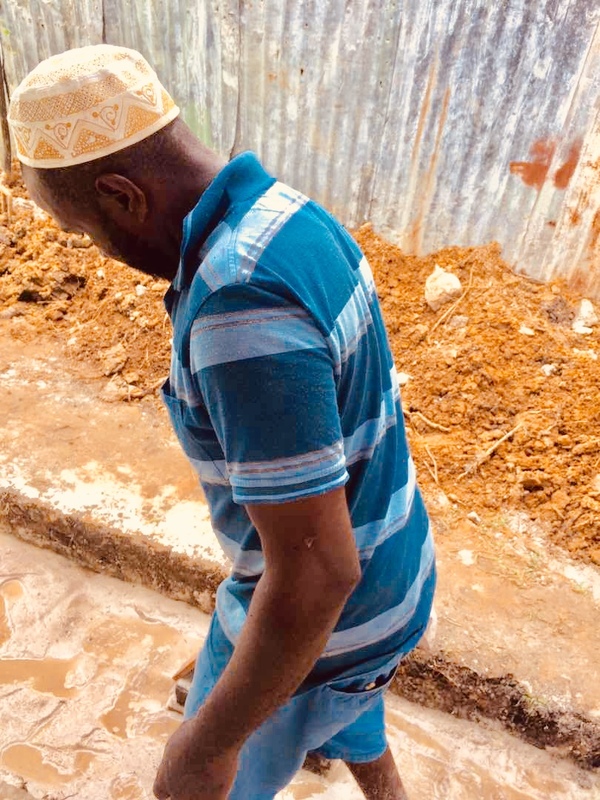 However, it was the late contractor Khalid Khan from the Georgetown who took up the initiative to rebuild the mosque in 1992 using materials and manpower from Queenstown mosque. 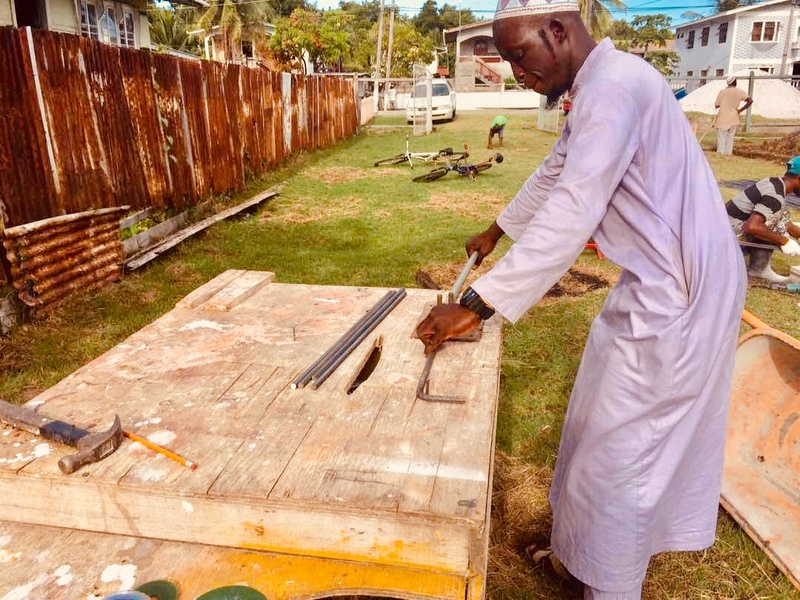 The discovery of the mosque sitting idle in the midst of the seawall side in North Golden Grove on the market goes to former Police Commander Omar Glasgow, who had his officers remove cows and animals from the premises then. He was looking for a place to pray Fajr and couldn’t bear the shameful discovery! 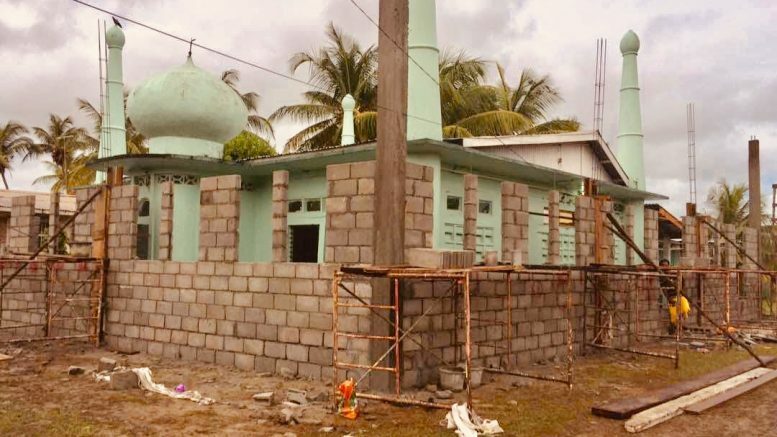 We named the mosque Masjid Khalid after he passed away in an accident on his way to build Lethem mosque in 2013. 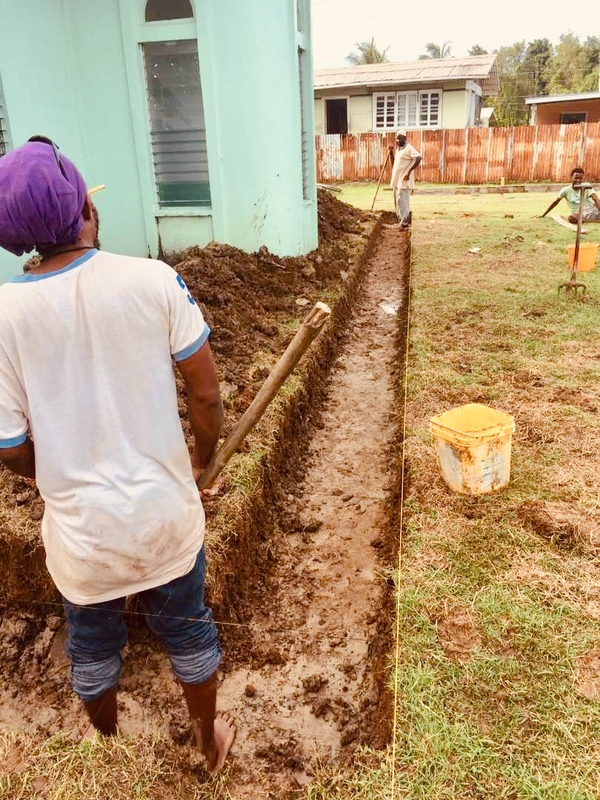 But how did this place of worship for over fifteen percent of Guyanese ended up in such rut, unnoticed and unsolicited? 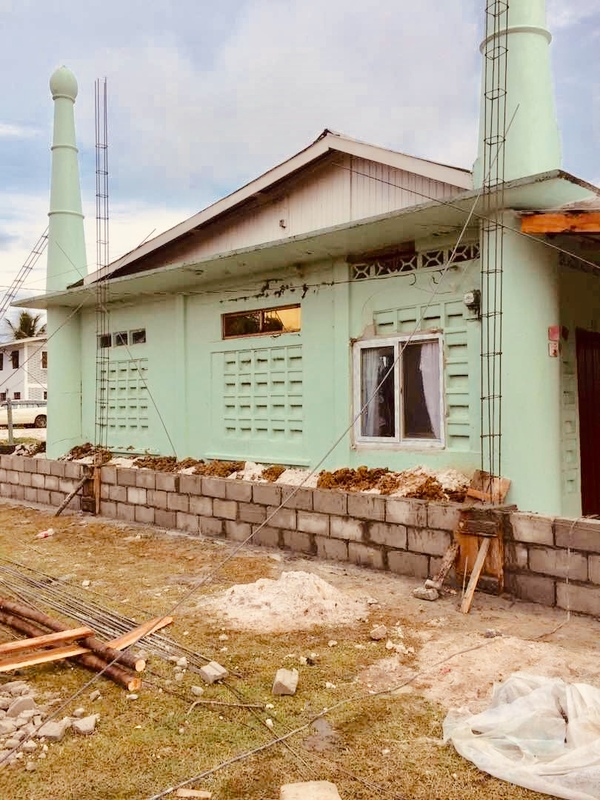 The late Imam Hyderali from Logwood mosque relates that this beautiful House of God was built in 1962 and habituated by Muslims in Golden Grove, Cove and John, and Clonbrook East Coast Demerara. However, during the 1964 racial riots, before Independence, the East Indians were forced to leave behind their properties and seek safety in places like Enmore, Annandale, Mackenzie, etc. 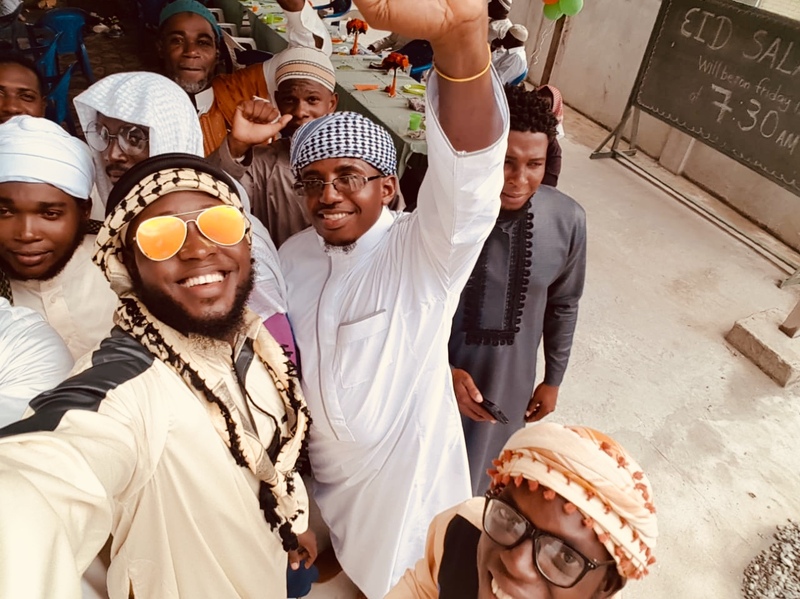 Note that while the majority of Africans came as Muslims during slavery, the roots of Islam were lost and the indentured Muslims of India that followed were allowed to keep their faith, hence the term Fullaman! 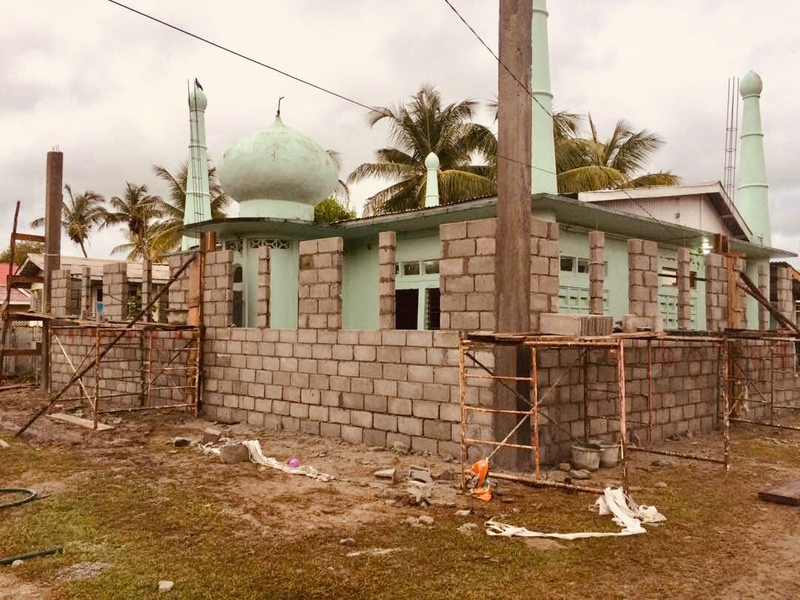 The mosque was firebombed during the riots and remained roofless during all these years! It was every man’s island! 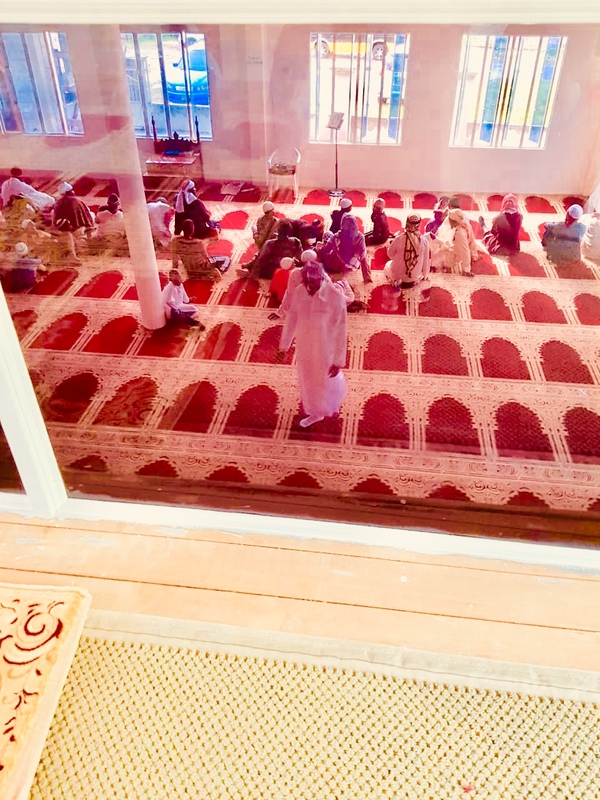 When Abdur-Raheem and myself, I lived in nearby Enmore, first visited the august edifice on a Sunday afternoon, we had to fetch water from the nearby trench, with the help of the ever kind neighbour next door, and wash the Azan stand and a spot inside to pray Maghrib. 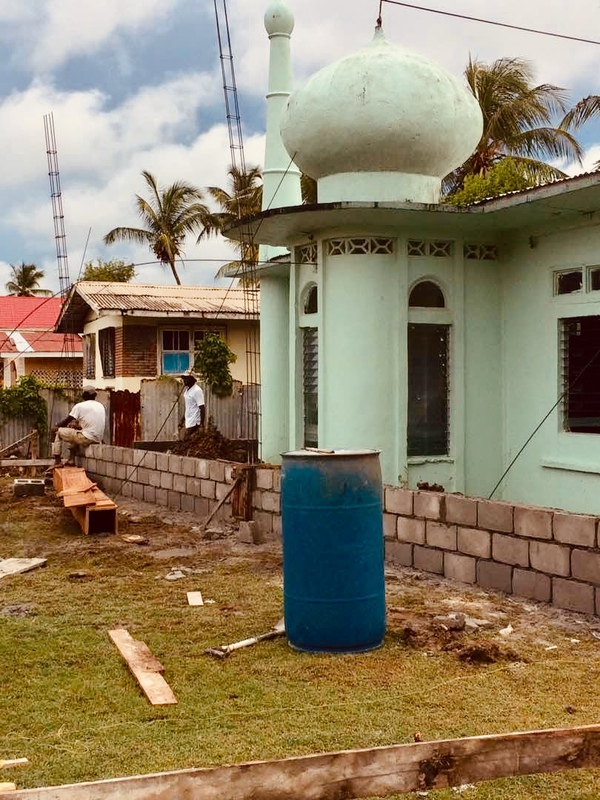 The rest of the following nine months was between continuously washing a spot to pray, inviting the people to the awareness of Islam and soliciting assistance from far and wide in the reconstruction of the Mosque. A beautiful community was born! 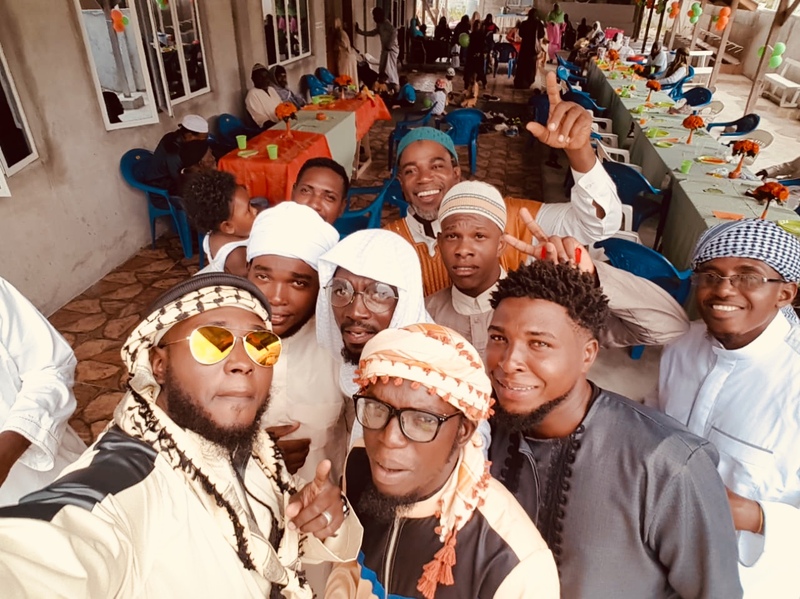 It was such an awe-inspiring moment when I returned this year during Eid ul Adha to see familiar faces who either took shahada on my hands or whose nikah was conducted by me in the most austere circumstances. 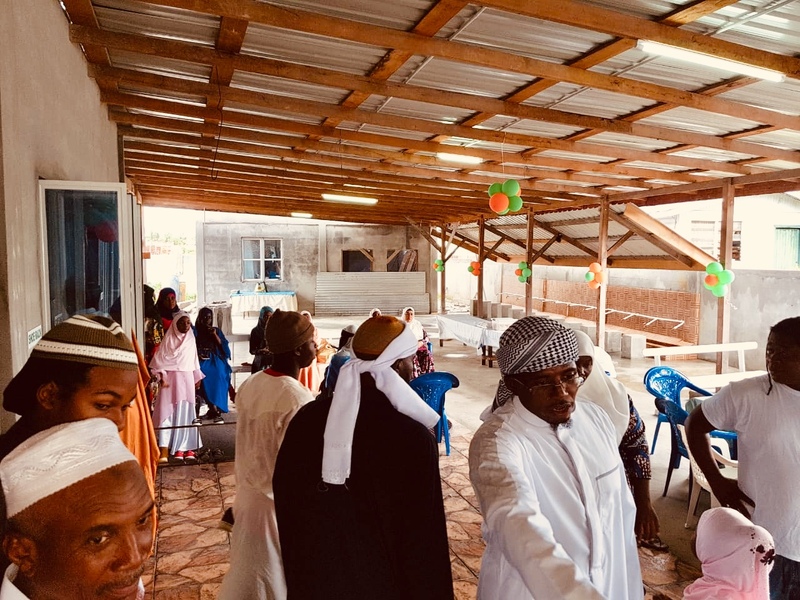 Today the mosque has been rebuilt with equally decent quarters for the sisters, a huge outdoor tent, an Imam’s home, and a beautiful architecture that suits the environment and the friendliness of the community. 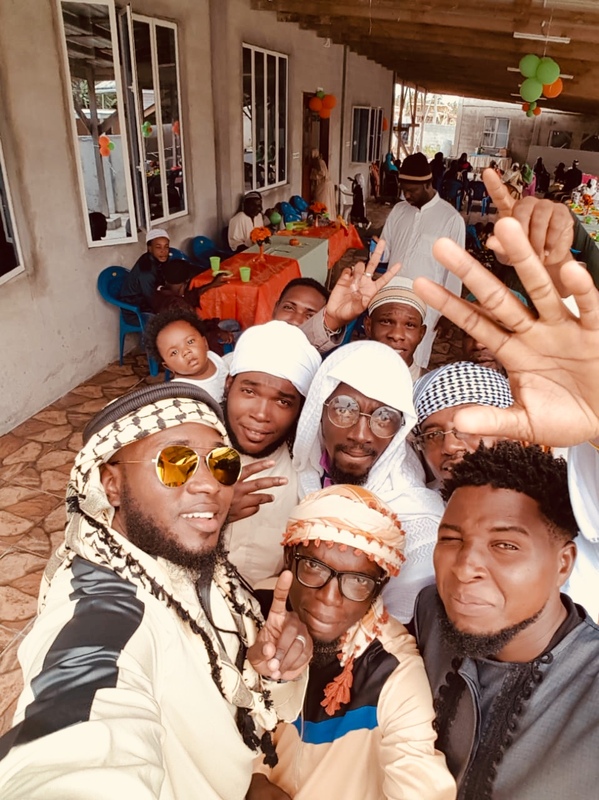 Thanks to the newly arrived scholar Imam Luqman Musa, the son of the Mansa Musa, a formidable pioneer in the early Dawah, the generosity and knowledge of the community has grown exponentially. 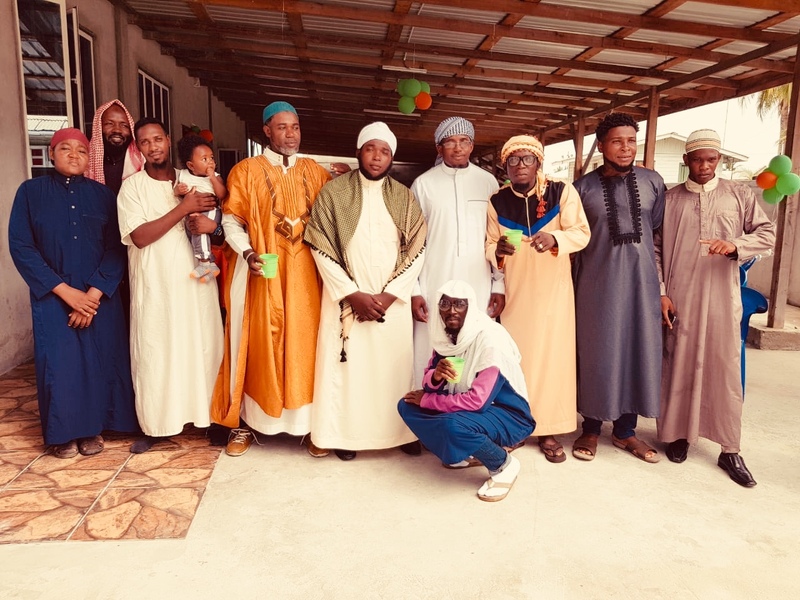 Special thanks to our founder AbdurRaheem Douglas and his family Karen who have kept the Faith among the sisters and families alive, despite the remarkable challenges. This family was specially taught by Imam Hyderali before he migrated to Canada. 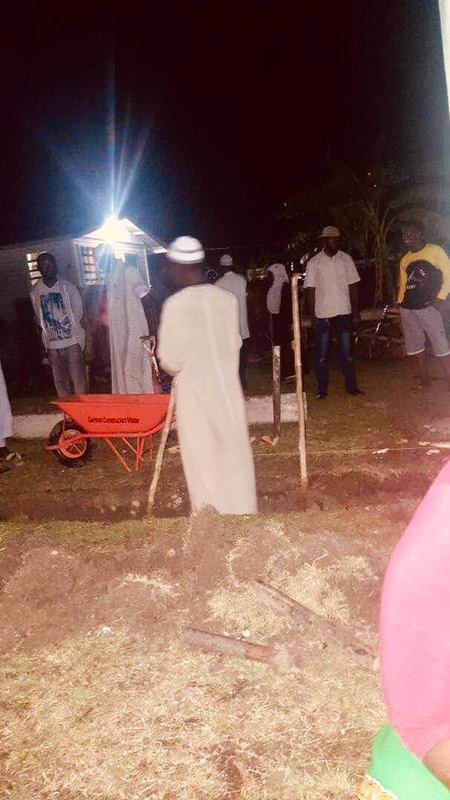 As the late Haji Hyderali would say during handing over the trusteeship to the late Shafi Foreman that this legacy is meant for Golden Grove and will always be Golden because love and faith were the seeds this mosque was founded on in 1962, watered with blood, sweat and tears! Salam Alaikum! 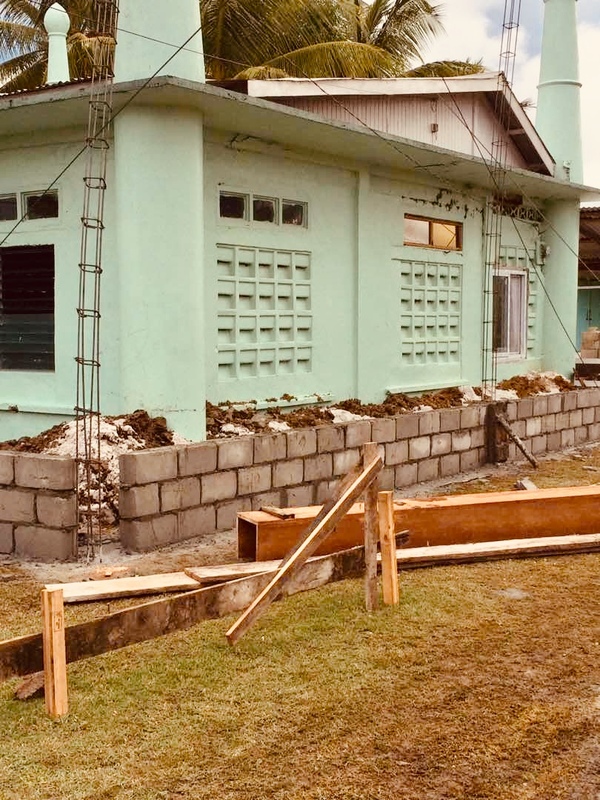 An example of peacebuilding in the Jonestown famous and election frenzy country in South America called Guyana! 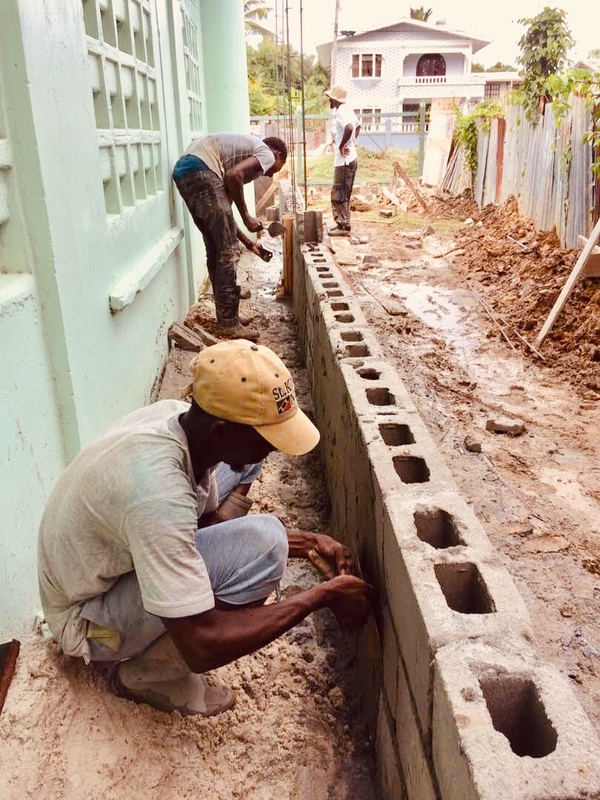 To keep in touch with the Golden Grove Community via their Facebook profile click here.